Please note that the following tour description is still work in progress March 24th 2019, more sites to be added. 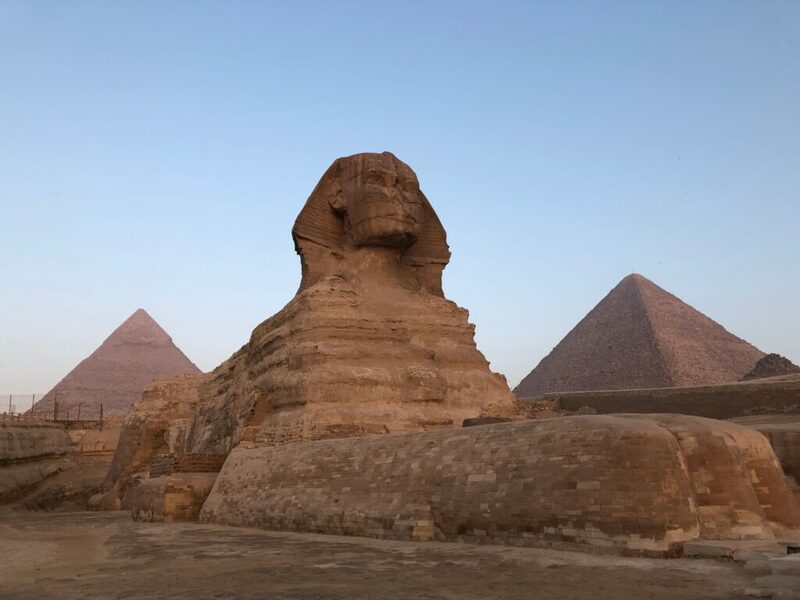 During this 14-day journeywe visit ancient temples through the literally multidimensional land of Egypt and will experience private visitations between the Paws of the Sphinx, in the Temple of Isis and in the Great Pyramid of Giza. We sail on the Nile, can relax and let soul absorb its power and energy. We will have time to talk about our multi-dimensional experiences. About our perceptions and experiences, to exchange ideas and with that gain more confidence in our own intuition an perception. Every single place we visit has the potential for inner activation and elevation of your spiritual and perceptual power and your multi-dimensionality. 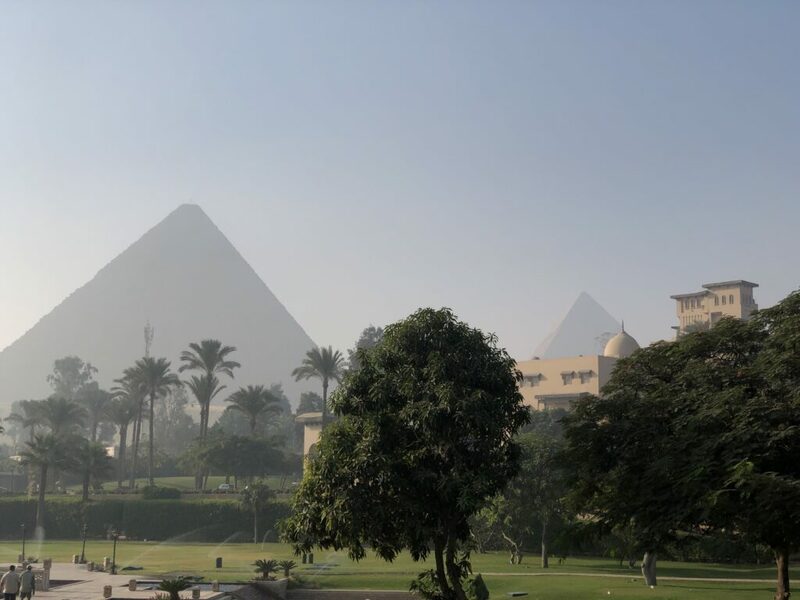 The first day of our transformational journey begins with the individual arrival of the participants in Cairo. 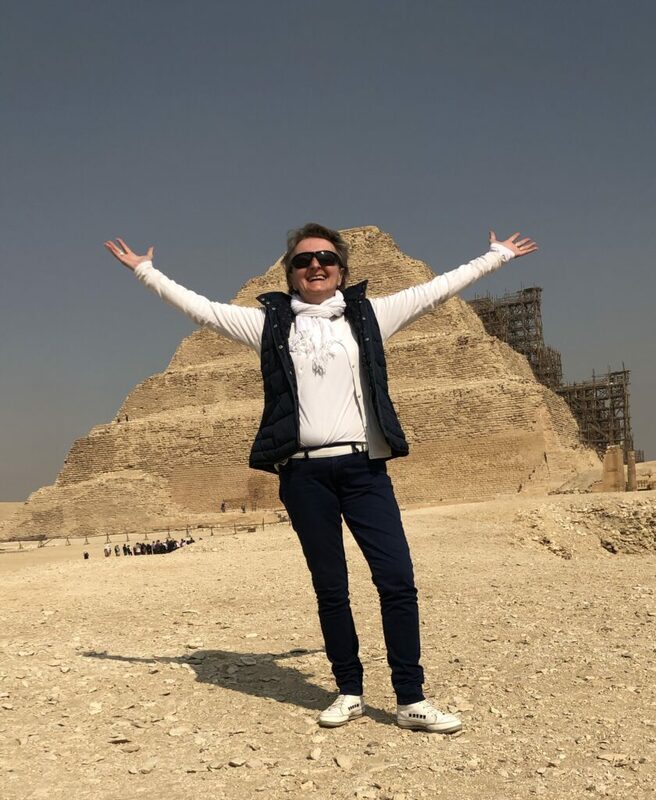 We will welcome you at 4 pm at the Mena House Hotel in Giza[for the official welcome and opening by Cristina and the Soul of Egypt Travel Team. On the second day of our multidimensional activation we will have our first two-hour private visitation. Between the Paws of the Sphinx we will meditate and feel the power and energy of this truly amazing being. Later in the day, we will visit anessential oil producer and healer where, if we wish to, we can purchase Egyptian fragrances we can use during our meditations. 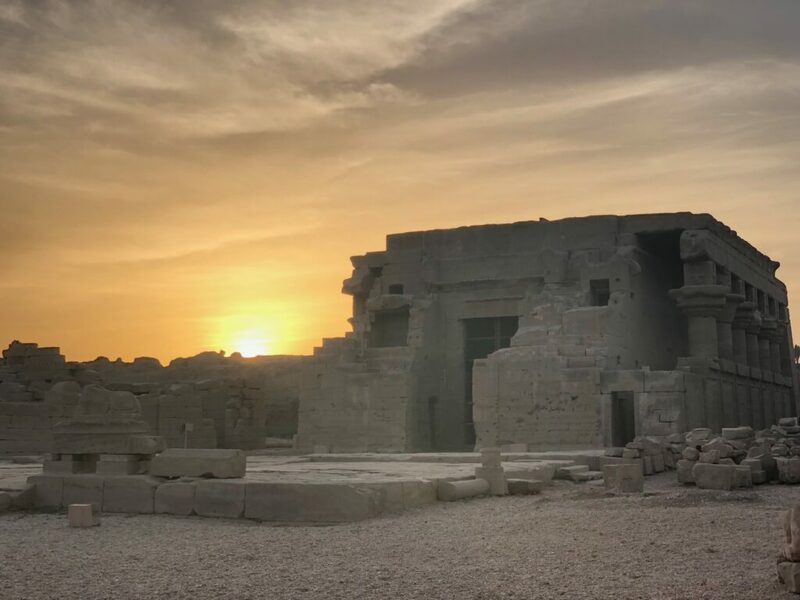 Early in the morning of our third day we drive to Sakkara to feel the extraordinary healing frequencies oft he ancient complex around the Step Pyramid. This place was an advanced Egyptian healing school in ancient history. The Healers who worked here wrote “The book” which’s knowledge was taught in all the mystic and healing schools throughout ancient Egypt. 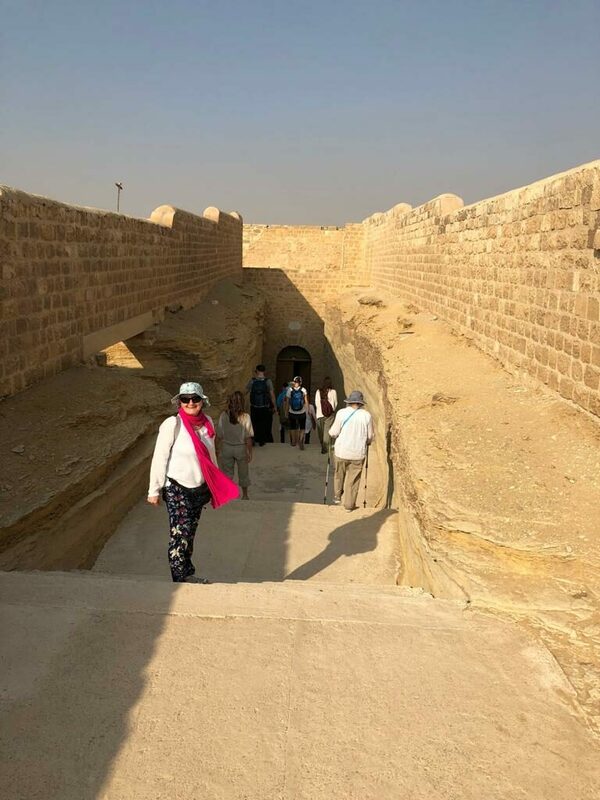 In vicinity of the Sakkara Complex, surrounded by desert, we are going underground into the indescribable energy field of the Serapeum and its many 70-ton sarcophagus.It was a tomb for the holy bulls considered to be incarnations of the ancient Egyptian deity Ptah. In Egyptian mythology Ptahis known as the God of artisans and architects. After lunch we fly to Aswan and board a beautiful Dahabiyaon which we are sailing the Nile for the next five days and nights. 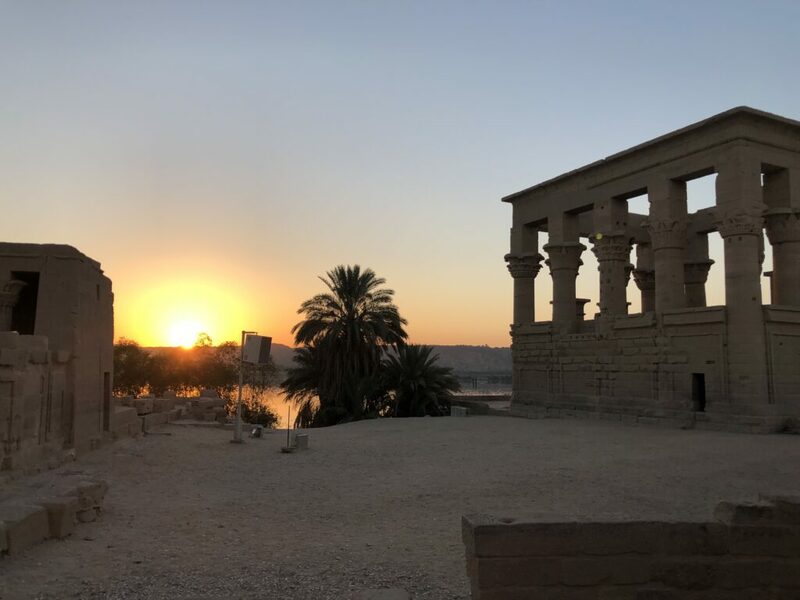 On our fourth day we have our second private visitation in the Temple of Isis on the Island of Philae in Aswan. This is one of the many highlights of our journey. The temple’s radiance of feminine energy and strength will impact you deeply. Isis, sister and wife of Osiris and mother of Horus, was the Egyptian goddess of marriage, fertility, motherhood, magic and medicine.There are many myths and legends about Isis in Egypt and the Egyptian literature uses several names and titles for this goddess. The worship of Isis, her temples and her cult spread throughout Egypt and parts of Europe. After this powerful Isis activation, we spend the rest of the day on our private boat the Dahabiya sailing the Nile towards Edfu, where we anchor for the night. In the morning of fifth day we visit the second largest temple in Egypt. The temple of Edfu is known as Horus Temple, the falcon-headed god. Horus, son of Isis and Osiris, who avenged the death of his father by defeating his uncle Seth. 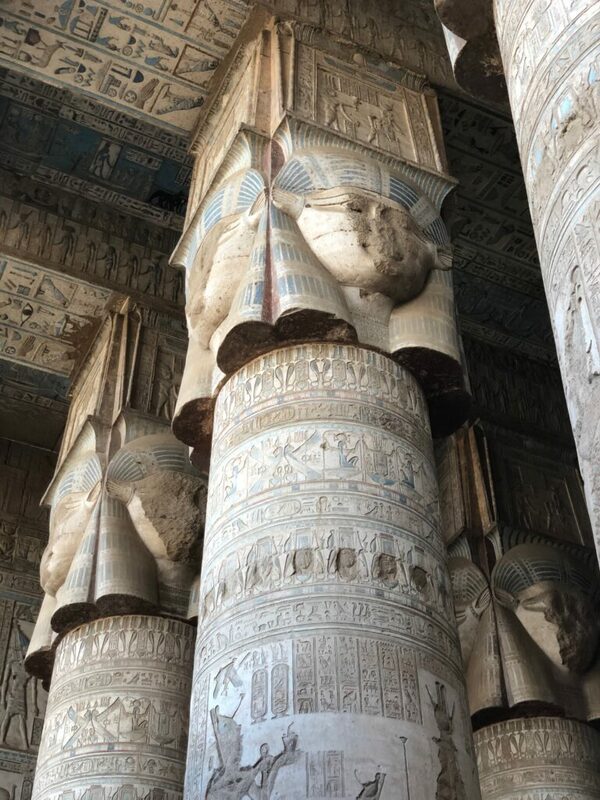 It is one of the most beautiful and best-preserved Egyptian temples and its energy is mesmerizing. After our visit, we continue sailing and integrating the experienced. 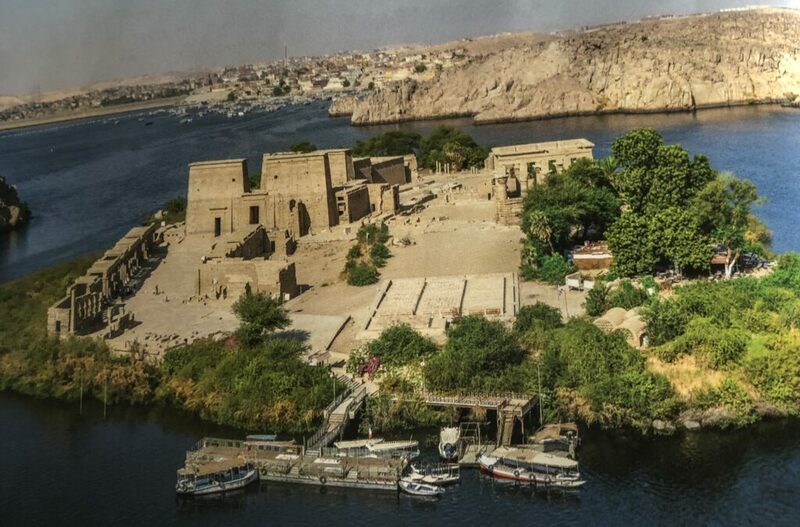 We continue our journey on day six sailing and navigating through the locks at Esna towards Luxor where we anchor. 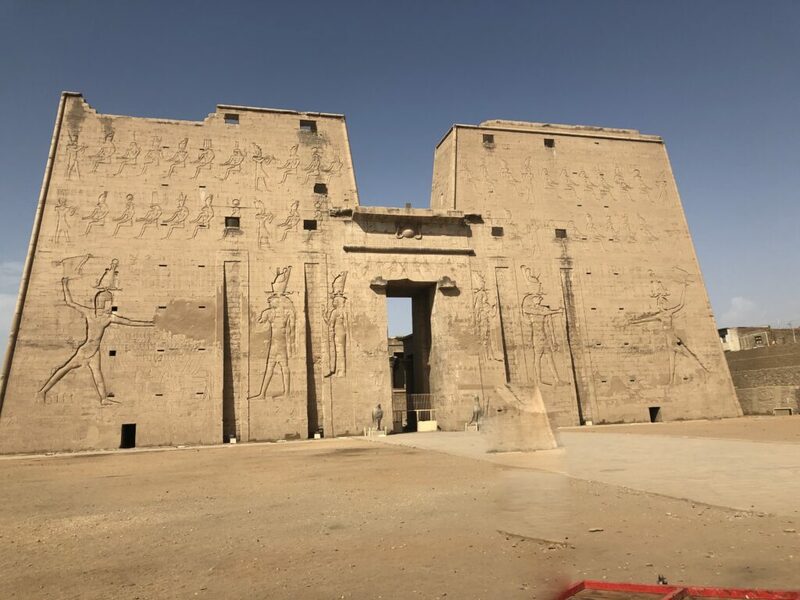 By coach we are taken to meet Sekhmet, within the majestic Karnak Temple complex. 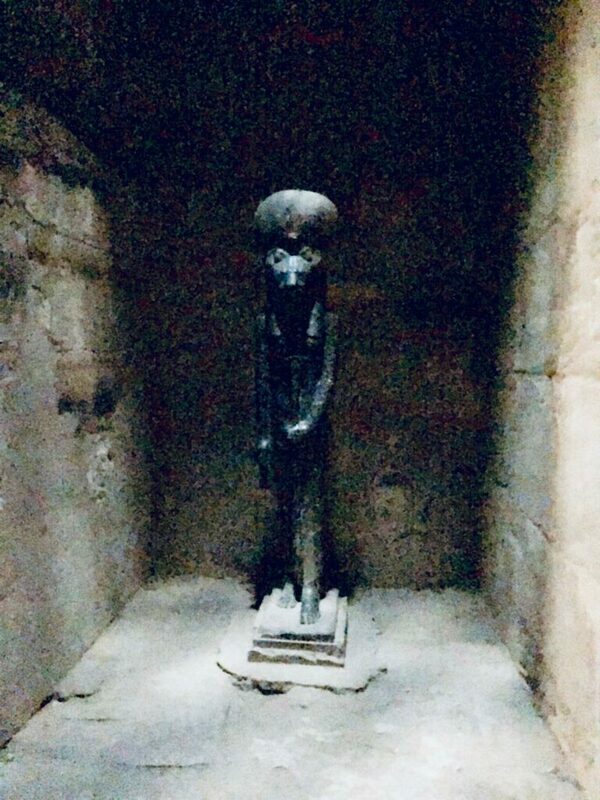 This specific statue is standing in the same place for more than 3000 years. Furthermore, spending time in the presence of Sekhmet’s statue leaves you Sekhmetized. On top of that, the obelisks and the art within the temple are astonishing. Again, early in the morning on day seventh we drive to the West Bank in order to catch the sunrise at the magnificent temple of Hatshepsut. Hatshepsut was the second historically confirmed female Pharaoh. Her rise to power was remarkable, given her bloodline, education, and knowledge on religion allowed her to establish herself as the wife of the god Amen. Back on our Dahabiya for a late breakfast and time to relax before we pack up and prepare ourselves to leave the Nile and the Dahabiya. The crew’s farewell dinner in the evening will make our departure easier. The eighth day we are going to Dendera. After a two-hour luxury bus ride we arrive at the very well preserved temples complex dedicated to the goddess Hathor. The joyful energy of Hathor is very perceptible. She is considered the goddess of love, beauty, sensuality, music and singing. Back in Luxor we check in at the famous Sonesta St. George Hotel. We will have time for shopping, to visit a market or simply relaxing. In the evening we will experience the imposing temple construction of Luxor. In the morning of day nine we fly back to Cairo and check in at the Mena House Hotel for the next two nights. 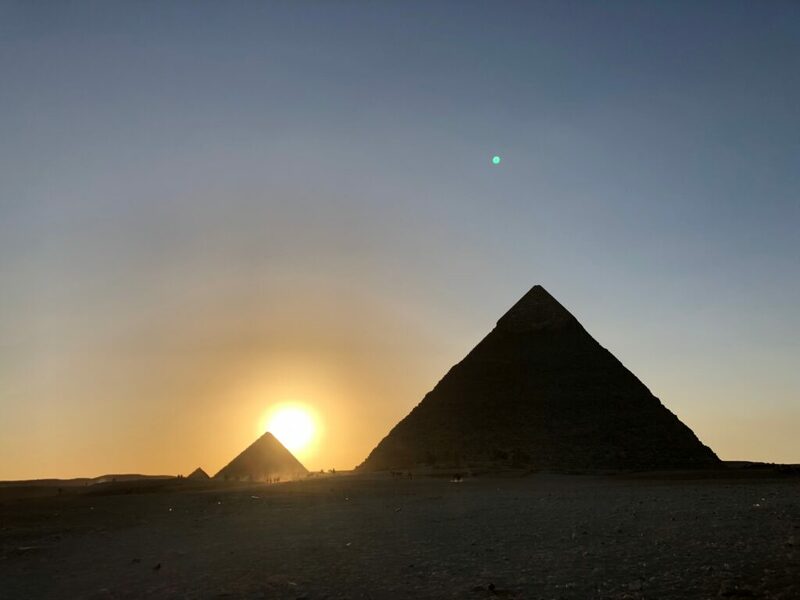 We have some time to prepare ourselves for the Grand Finale – the private visit within the Kings Chamber of the Great Pyramid, which is the final activation on this truly transformative journey. On our tenth and last day we can sleep in. Enjoy the wonderful gardens of the Hotel Mena and integrate our experiences. Depending on wishes, last minute shopping is possible and a visit the Egyptian Museum. We will officially celebrate this amazing journey through the heart and soul of Egypt with a final closing circle followed by a farewell dinner and party. Day eleven is an individual departure day – back home. Of course, if you want to stay longer or arrive a few days before we are happy to support you in booking additional nights. Individual time and space to feel and integrate the experiences are planned daily. 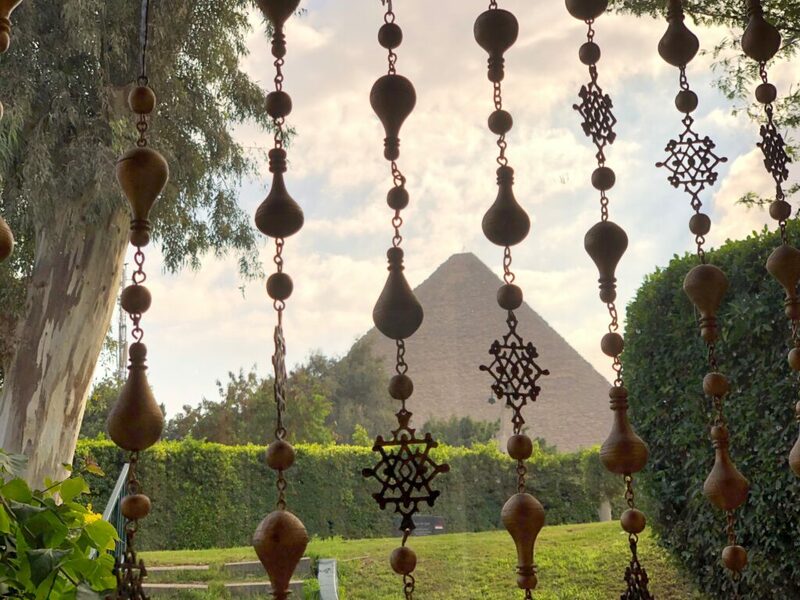 We call it “Feel Egypt Time”, where you allow yourself to integrate and activate the energy through all of your subtle and multidimensional bodies. Energetically, each site will give you exactly what you need for your soul, your heart, your spiritual and multi-dimensional journey as well as for your projects and endeavors. As a group, we meet regularly to meditate and to share our experiences. For Cristina the sharing is essential, as it supports the integration and activation. Apart from this, it reinforces your own awareness, your ability to perceive, to feel when listening to someone else’s experience. As a Medium, Cristina will offer individual time to each participant on sensitive, mediumistic and multi-dimensional aspects related to the journey. If desired, sensitivity and perception exercises are given, so you can train and trust your own intuitions and awareness. If you want, you can book a private session with her during the trip. Once you register for this amazing journey, you will receive more in depth information for your preparation. Cristina is a Psychic and Medium, and the multidimensional moderator and initiator of this journey. She herself experienced a transformative group trip through the Heart and the Soul of Egypt. 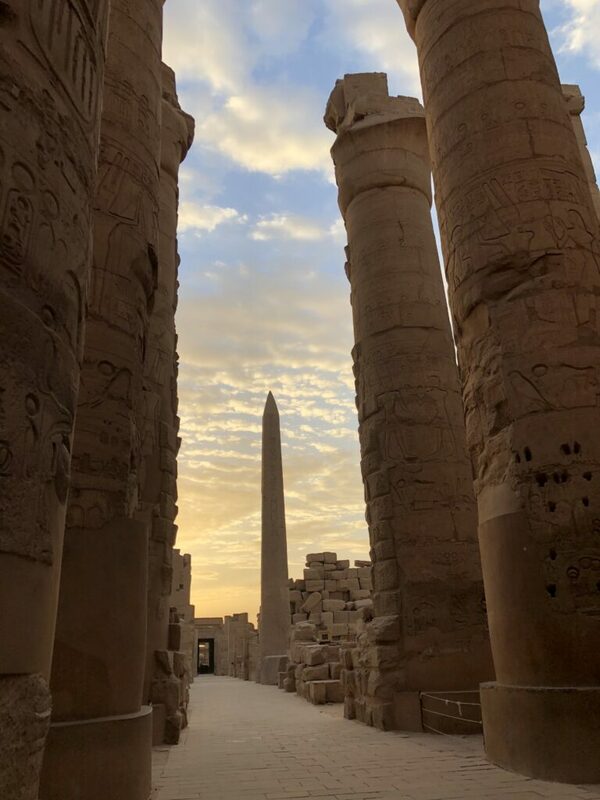 Cristina fell in love with ancient and modern Egypt, with its literal multidimensionality, the power and vibrations of the land, the warmth and hospitality of the Egyptians. 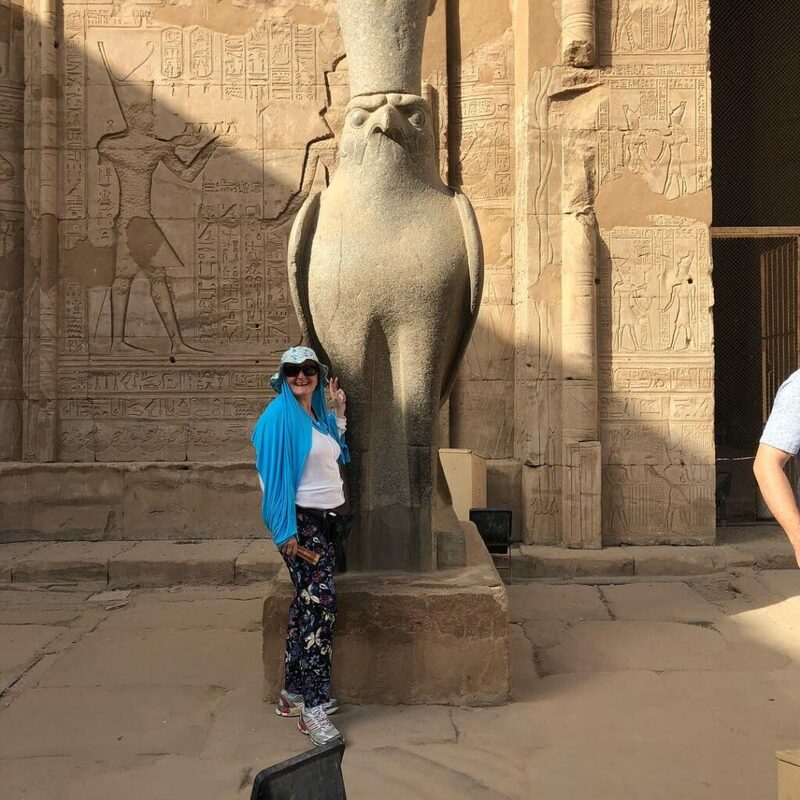 Within days of returning home, she contacted the Soul of Egypt Travel team (SoE) and decided on wanting to share and offer her unforgettable and transforming experiences with others. With SoE’s Tour Manager we can be sure that everything will be taken care of. All transport, accommodation, food and water, temple entries and further logistical, organisational matters will be handled 24/7. He is warm hearted, very experienced, and professional in guiding spiritual groups through his Egypt. He is a magician in navigating us through the sometime huge temple sites, making sure we are guarded and getting the space we need to feel the energies. His presence, even from a far, always gives reassurance, makes us feel safe. The Egyptologist, on the other hand, will be guiding us through the history of ancient and modern Egypt with his expertise and profound knowledge. His experience and love in guiding people on spiritual journeys through his homeland, sharing his insights is precious and will support us in understanding the many mystical and magical places we will visit. And in the background is the operations team of SoE, whom skillfully and with much love manage operational and administrative matters. Therefore, as participants, we can fully relax and enjoy the extraordinary and life-changing journey of our live. Deposit: CHF 1’000.- within 5 days after registration. With the deposit we make sure SoE can book three private visitations, hotel rooms, domestic flights and the boat for us. For these reasons, in the case of a withdrawal/cancellation on your part deposit is non-refundable. Tipping for drivers, representatives, hotel employees, porters, boat’s crew, safety officers etc. Single room price goes up due to size of rentable boat on Nile. The more single rooms, the bigger the boat.